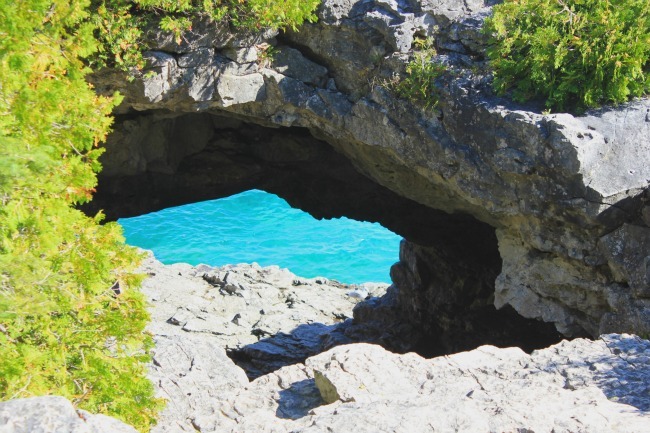 As I remember my time hiking through Bruce Peninsula National Park, I often think of this spot – just near the grotto on the edge of Georgian Bay. It’s one of the easiest places to access in the park, which makes it a must-see for visitors. But to me its also a visual description of this part of Canada – a bit wild, rocky and distinct. 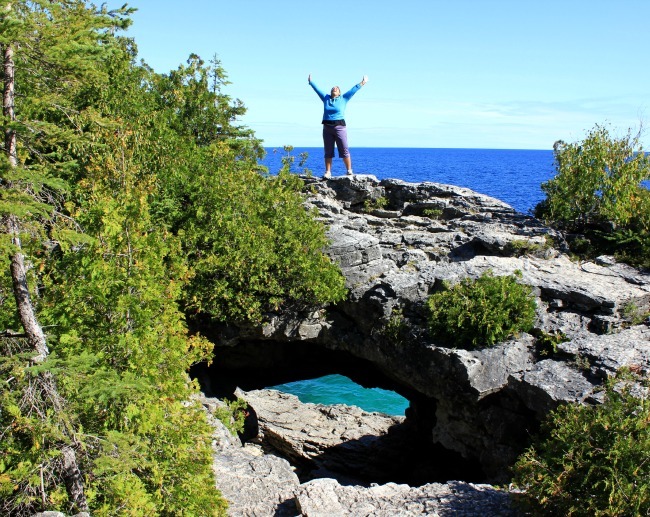 It was fitting that I ended my travels through the Bruce Peninsula in the national park, hiking through the old growth forest and seeing the rocky shores along Georgian Bay. I saw numerous people walking the path, taking photos and looking at the scenery – each one pleased with being in the sunshine and seeing this distinctly Canadian area. I dutifully waited my turn to take my photos, and as I got my friends to take my photo on top of this rocky outcropping, I was struck by how a hunk of rock was getting so much attention. In Canada we may not have centuries old history in the forms of cathedrals and buildings, but rock we got. Lots of it and thankfully its accessible and for visitors, very alluring.